But you just didn’t give enough thought and consideration as to where it will kept when it’s too cold to sit outside, did you? Unfortunately now, looking at your already bulging shed and jungle like garage, additional storage is urgently required to preserve and protect your new garden items. So what are your options; well you could just leave your items exposed to the elements, however metal will rust, plastic will discolour and wood (especially if it is untreated) will deteriorate extremely quickly – remember that many of these items are simply not designed to be outside all year long. Your most basic and cheapest protection solution is a plastic cover or tarpaulin sheet, traditionally held in place with a brick on top or bungee cords; however this sheeting approach can cause condensation and is prone to leaking, in addition it looks unsightly and is clearly an afterthought, you will also cringe every time there are high winds. 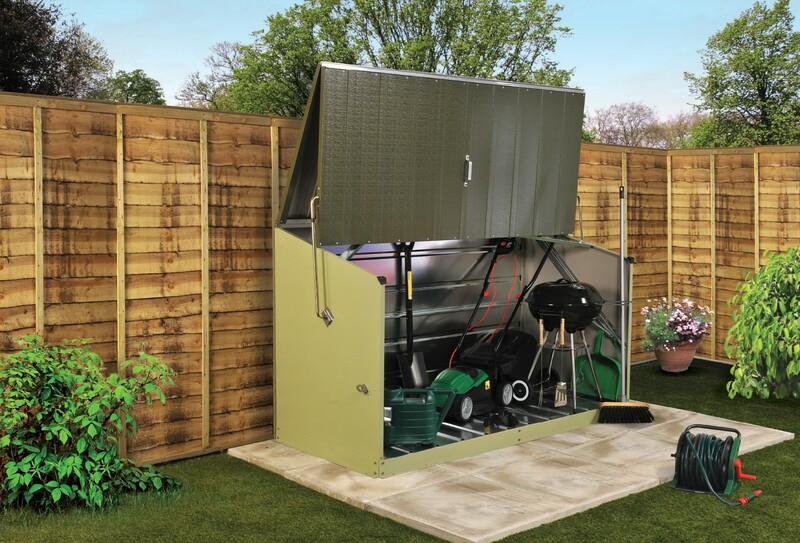 A second option is to Invest in a garden store to supplement your storage space, these are widely available in a variety of designs and materials such as plastic, wood or metal. Although more expensive, a good quality metal store is the best option as they offer a welcome combination of long service life, great security and maintenance free construction. 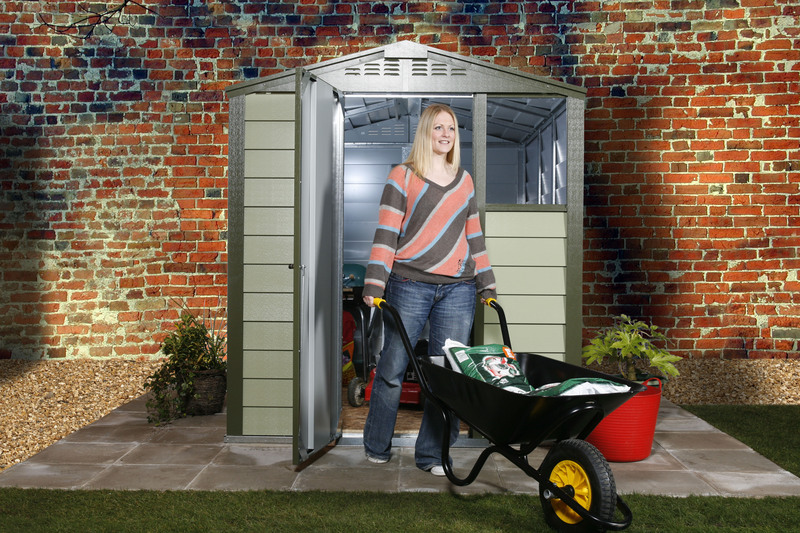 It may also be time to replace your existing garden shed especially if it is not large enough or too old to be serviceable; again different materials are available, but as before, a metal version from a reputable manufacturer is the best all round solution. When storing your items away for the winter remember to carefully clean them first an also make sure that they have dried out thoroughly before putting them away. You should also apply a small amount of oil to any metal joints and moving parts and also consider a quick coat of preservative for all wooden items prior to storage. Any seating cushions should be stored inside the house to ensure they stay dry and mould free as even the slightest amount of damp in a shed or garage will cause them to discolour. Also remember to store any bicycles with the utmost care over winter, a thin layer of light oil will slow deterioration and a bespoke cycle store unit should be considered if you have expensive bikes.